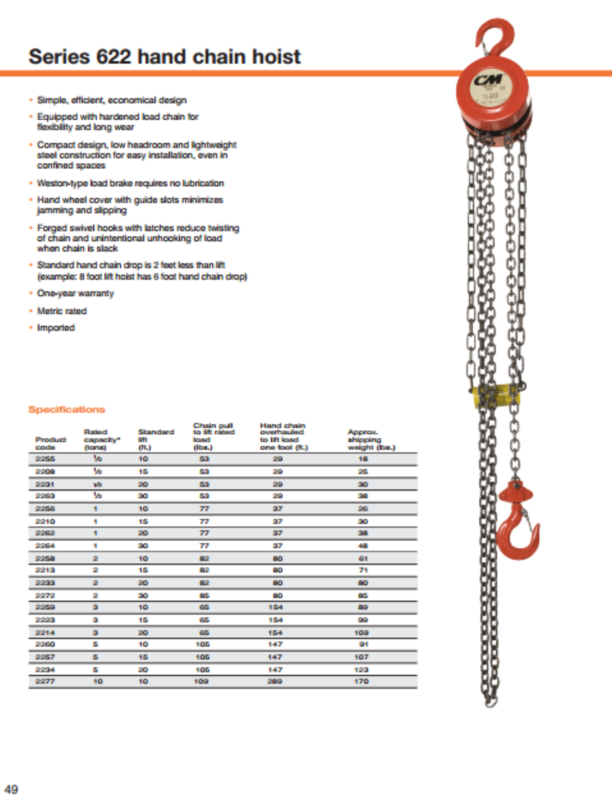 Hand Chain Hoist features a simple, efficient and economical design. Its compact design, low headroom and lightweight steel construction makes this hoist easy to install, even in confined spaces. Product image above may show optional features and accessories not included on standard models. Consult with a sales rep or with the product catalog for more information.